Malaysia has much to offer for every type of tourist. Leisure-seekers, avid sightseers, and adventure tourists, the country caters to all folk with its vast repository of luxe beach resorts, temples and heritage buildings, national and marine parks and much more. However, if you love the outdoors and are especially adventure loving and sporty, you perhaps would like to know the many outdoorsy challenges that the diverse Malaysian terrain has on offer. 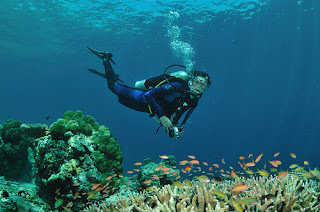 The Semporna archipelago situated off the eastern coast of Sabah abounds with fantastic diving options. Sipadan Island is a world-renowned dive-spot, home to 500 species of coral and over 3000 species of fish. The island features a spectacular drop-off plummeting 700 meters into the ocean, which offers divers a chance to spot various wonders of the ocean like hammerhead sharks, hawksbill turtles, manta rays and more. Sarawak’s Gunung Mulu National Park is one of it’s star attractions. 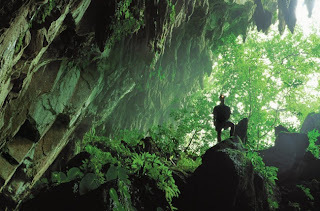 The national park offers a dramatic landscape featuring dense vegetation, intriguing karst formations, three towering peaks and an extensive subterranean cave system which features attractions like the Wind Cave, the Clearwater Cave, the Sarawak Chamber and the Deer Cave. This extensive cave system is still being discovered until today but if you enjoy exploring the yet unexplored, you need to include adventure caving in Gunung Mulu National Park in your list. 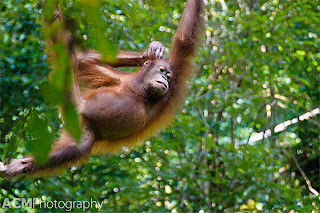 Malaysia abounds with national parks and nature reserves, and the glorious wonderland Taman Negara is the country’s largest national park. Traversing through three states, the park encompasses the world’s oldest rainforest and hosts numerous species of native plants and animals. Visitors to the park can indulge in various recreational activities like canopy walking, jungle trekking and river rafting to fully enjoy the sights and sounds of the magnificent wilderness. White-water rafting is a thrilling, adrenaline pumping activity and Malaysia offers ample opportunities to partake of this heart-stopping, exciting post. 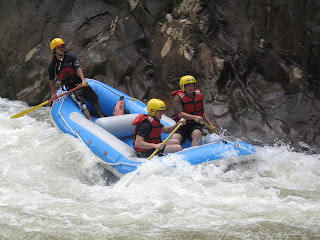 The Sungai Kampar River in Perak and the Sungai Padas and the Sungai Kiuli Rivers in Sabah offer countless thrills for rafters as they hurtle down the fast-moving river course, navigating treacherous rapids, flying by caves, temples and lush rainforests. Labuan Island, a duty-free enclave located off the coast of Borneo offers divers the chance to explore spectacular ancient wrecks, the Australian wreck, the American wreck, the blue water wreck and the cement wreck. The flame-colored Orangutan is an endangered species of primate currently protected in various nature reserves around the country but you may want take an early morning boat ride along the Sungai Kinabatangan River in Sabah to try and spot one in the wild. 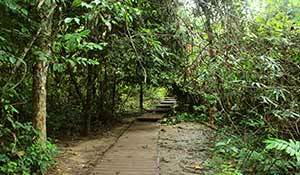 If you are lucky, you might even get to see even more native fauna like pygmy elephants, proboscis monkeys and several species of birds on your ride into the jungle. Malaysia is home to several indigenous peoples or Orang Asli who are resident in various parts of Borneo and Peninsular Malaysia. In the Kelabit Highlands of Sarawak, these native folk live in traditional longhouses. So if you want to learn more about these indigenous people of Malaysia, you perhaps need to take a hike to the Kelabit Highlands and meet them yourself. Malaysia is blessed with miles of beautiful coastline and many stunning off shore islands. Yacht and boat operators all over the country offer island-hopping and cruising tours, which enable tourists to discover uninhabited islands, stunning white sand beachfronts, amazing coral reefs and much amazing marine life. 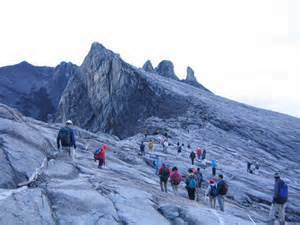 Mount Kinabalu is the tallest peak in South-East Asia towering to a height of 4095m above sea level. For such a tall peak, the mount is surprisingly easy to conquer especially since a 1.2 km Via Ferrata(iron road) has now been added to it to aid novice climbers scale the peak and make it to its summit at Low’s Peak to take in the stunning views. Discover Malaysia’s little piece of England in the popular hill resort, the Cameron Highlands situated at a height of 1500 meters above sea level in the Titiwangsa hill range. 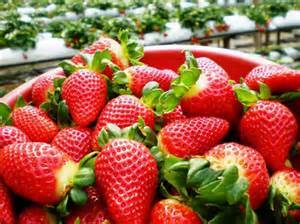 The highlands are blessed with a year round amiable highly conducive for the cultivation of tea and fruits like strawberries. The many plantations located within the highlands welcome visitors to go strawberry picking and enjoy tea tastings.